It can sometimes feel like every decision we need to make revolves around money. How do we spend it? How much should we save? Where should we invest? How much do we need to retire? The endless stream of choices is enough to give anyone a throbbing headache! Don’t let these decisions throw you into a panic. All you need for simplifying your money management is the proper framework for making smart financial decisions. 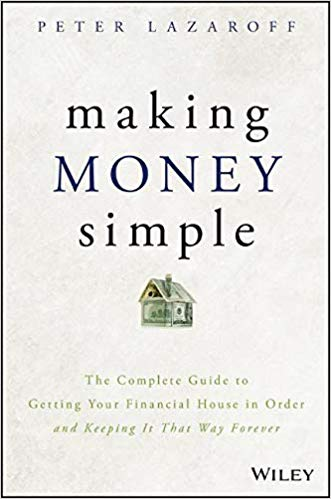 Making Money Simple provides that crucial framework to learn how to expertly and efficiently navigate your own finances. 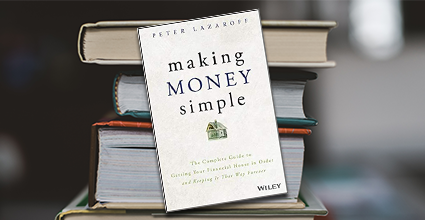 Author Peter Lazaroff wants to gift readers with the foundation they need to make the proper personal finance decision in any circumstance or situation they might encounter. His book is a manifesto that will guide you through the ups and downs of your career, major milestones and the path toward growing your wealth. The framework for decisions he outlines in Making Money Simple is strong enough to get you through anything your financial life throws at you, even the most challenging circumstances where there are no hard rules at play. Read Making Money Simple and you’ll be empowered to create your own plan for financial success, drawing on proven wealth management techniques and real-life strategies. You’ll learn about core economic principles and expert-level investing practices. You’ll study financial topics of every kind and read Lazaroff’s advice culled from his years as chief investment officer of a multibillion-dollar wealth management firm. And finally, you’ll be empowered with the tools you need to make managing your personal finances simple. You don’t need detailed spreadsheets or complicated investment strategies to get your financial life in order; you simply need a process to help you understand your finances and make them manageable. ● Create financial goals and plan for your future. ● Understand the three core elements of building a strong financial house. ● Implement effective investment strategies. ● Learn the 10 questions to ask when hiring financial professionals of any kind. Making Money Simple will help you achieve financial wellness and secure your future success.